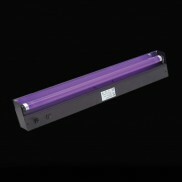 A fantastic accessory for your night out, the UV torch will light up all your UV clothing and make up, so that you glow all night long. 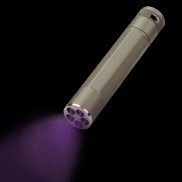 Black light without the fuss. 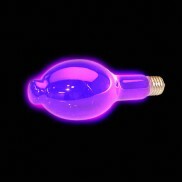 This UV Black Light Bulb fits into a regular 'bayonet' fitting on almost any lamp or ceiling light. 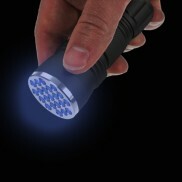 The Inova X5 UV Torch is a rugged UV torch with a huge range of applications, from checking notes and ID to Crime Scene Investigation, this pocket sized torch won't let you down. 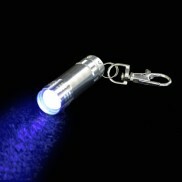 Uv Keyring Torch Great for help applying UV body paint and make up the handy UV torch is small enough to carry on you at all times. 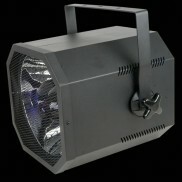 Make sure that you light up the night! 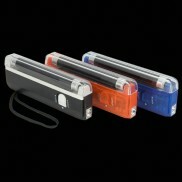 Blacklight Uv Torch A handy, pocket sized 4w Blacklight UV Torch and regular torch combined, perfect for checking bank notes etc, while you're on the move.